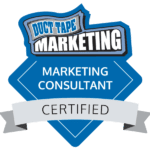 Looking for digital marketing in Gilbert, AZ? Drop us a line! Use the handy form or contact us directly at 480.219.9069 or hello@910west.com. You are also welcome to stop by our office located north of downtown Gilbert to see where the digital marketing magic happens. Please call first so we can make sure that someone is here to meet you. We look forward to helping you with your digital marketing in Gilbert, Tempe, Mesa, Scottsdale and Phoenix.